Cassie Langdon holds her MoviePass card outside AMC Indianapolis 17 theatre in Indianapolis on Jan. 30. MoviePass, the discount service for movie tickets, announced it will not be raising prices but will be capping theater visits at three per month. The change replaces a previously announced plan to raise prices to $14.95 a month. The beleaguered movie theater subscription company is also canceling two other recent changes — "peak pricing" surcharges for popular movies and a ticket verification process — that were intended to stop the company from bleeding money. Capping movie visits at three per month is a dramatic shift from the company's original promise, but MoviePass says most subscribers won't actually be affected. 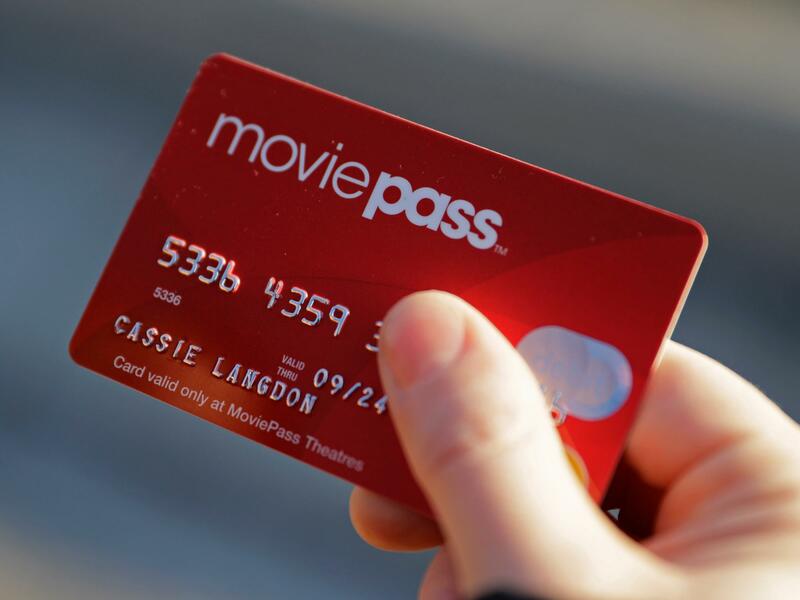 "Because only 15 percent of MoviePass members see four or more movies a month, we expect that the new subscription model will have no impact whatsoever on over 85 percent of our subscribers," the company said on Monday. MoviePass, which generally pays movie theaters full price for each ticket while only charging users their subscription fee, has been struggling financially in recent months. "Struggling financially" is a bit of euphemism, actually. Last month MoviePass simply ran out of money, requiring an emergency $5 million loan to even remain in service. The company's financial flailing has hurt stock prices and hit home for users: some showtimes have been unavailable, often without explanation. The company apologized to users, and in a press release its parent company described the current situation as a "rough patch." Meanwhile, AMC Theaters has introduced a subscription program of its own to compete with MoviePass, albeit at a higher price point with fewer theaters available. MoviePass has existed for years, but it used to be a little-known, significantly more expensive program. The company slashed its prices almost a year ago — allowing subscribers to see a movie in theaters every day for less than the typical cost of a single ticket in many cities — and its popularity skyrocketed. Now, more than 3 million people subscribe to MoviePass. But the question has been asked again and again: Is it the deal just too good to be true? MoviePass argues that with its detailed data on users' movie-going habits, its platform can be a powerful marketing tool, particularly for smaller films. Therefore, the company maintains, it can build partnerships with studios to promote their movies and ultimately make money. "I find it really fascinating that people believe that since you're losing so much money, you don't have a long-term business model," MoviePass CEO Mitch Lowe told NPR's Michel Martin last month. "Amazon lost money for 20 years. Netflix still loses money. And so this is the way you build a big company." And eventually, Lowe says, the company aims to break even on its subscription service — and stop losing money.